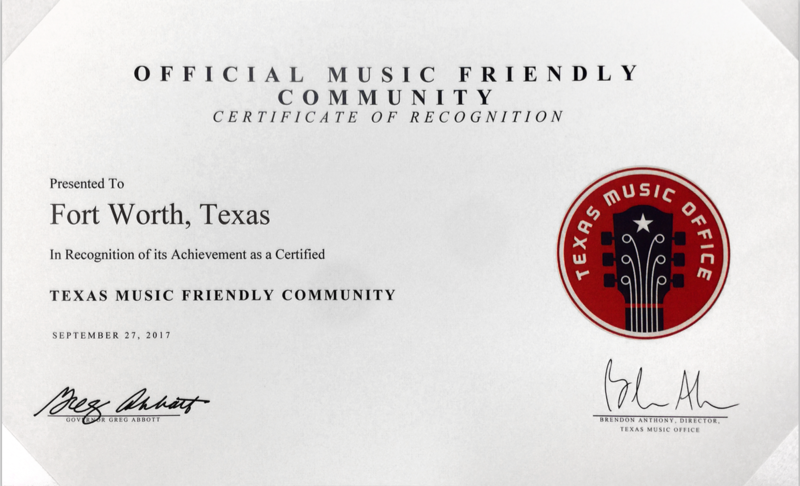 On September 27, 2017 Fort Worth was designated the first music-friendly city in Texas by the Texas Music Office, Office of the Governor’s “Music-Friendly Communities” certification program. The Fort Worth Convention & Visitors Bureau and Hear Fort Worth partnered to accomplish the five steps set forward by the Texas Music Officer to become a music-friendly community. Demonstration of partnerships with the community&apos;s music-related 501c3 nonprofits in order to foster community development. June – August 2019 - Texas' only waterfront stage is THE place to listen to live music along the river. Fort Worth Venues that Locals Love!